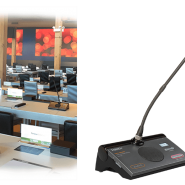 Our wireless conference microphone system is an elegant solution for quick and flexible setups with no visible cables, to achieve superb audio performance during meetings. Digital infrared technology: no interference from RF systems, no frequency management. Long battery life: 48 hours standby / 10 hours talk time. 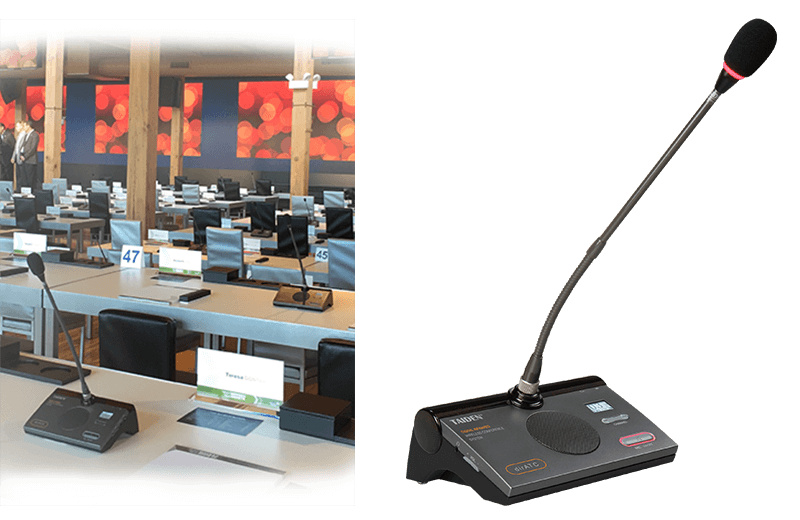 Wireless microphones are most used in conference spaces where there is no place to hide cables (boardroom table, banquet with round tables, non-skirted tables, ...), when there is a limited time to setup, when there are mid-day changes in the room configuration needed, or if there are long distances between microphones. Using digital infrared wireless technology, you are guaranteed superb, secure and consistent audio performance with no interference from mobile phones, Wi-Fi networks or other RF systems setup in adjacent rooms. Our solution is also immune to interference from sunlight or energy-saving lighting. IR signals cannot be received outside the room, ensuring meeting privacy and confidentiality. The microphone system is delivered with a main unit that can control up to 1000 units, battery chargers for the microphones, as well as digital infrared transceivers that shall be positioned throughout the room to ensure full coverage. 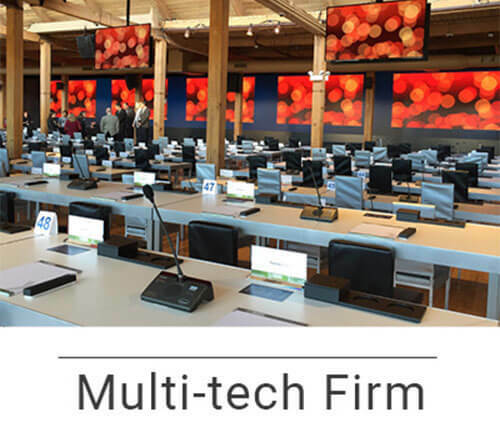 Our technical team will provide advice on best transceiver placement and quantities to cover your meeting space, as well as onsite support as needed.